Did you ever read those Choose Your Own Adventure books as a kid? I had one that I remember. You were using a time machine to look for dinosaurs and learn about them. The "best ending" was you found the Archaeopteryx and discovered "the first dinosaur with feathers" (so the book wasn't the most scientifically accurate, waddyagonnado?). Well, there's a Kickstarter campaign up right now for some new adventure books that you might be interested in (no, it's not dinosaurs). Adventure Books have apparently come a long way since that one I read over 2 decades ago. 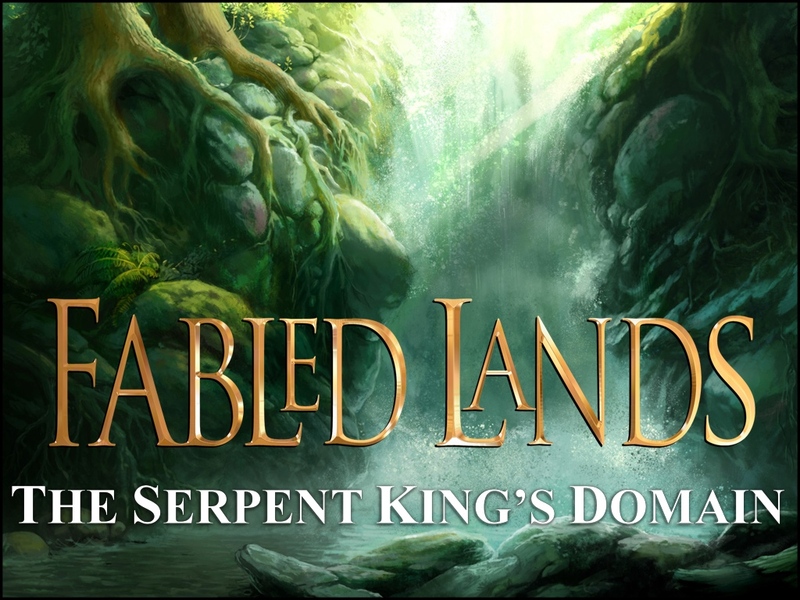 Fabled Lands: the Serpent King's Domain lets you play as one of six professions: Priest, Mage, Rogue, Troubadour (aka - bard), Warrior, and Wayfarer. The whole Fabled Lands series is also unique as it's non-linear. You might actually find yourself jumping from book to book as you play/read. You will need some dice and a pencil with eraser, though. Yeah, these game books are more than just page-turning (hence why, despite not usually doing adventure books here on TGN, these stood out a bit from the others). The campaign is more than 2x funded and still has 25 days left to go on the clock.